An industry icon who helped shape and advance structural and safety initiatives during his service to the tower industry was killed yesterday in an elevator-related accident on a broadcast tower in Oklahoma City, Okla., according to individuals knowledgeable of the incident. Although there are few verifiable details, Ernest “Ernie” Jones had reportedly been working with a crew on KOCO’s broadcast tower and the crew left the area and was a few hours from the site. Jones, according to a number of individuals, received a call that there was still a problem on the guyed tower and returned alone to the site to perform an inspection. He was reportedly tied off to the tower and in the elevator when the elevator proceeded to descend. It is not known if Jones or another individual hit the down button. Elevators have a lock-out tag-out system that prevents them from moving if the gate is open, but over the years many systems have been altered so that the elevator can operate while the gate is open or is in disrepair. Most elevators have an emergency override switch at the base of the tower. Additional details and funeral services will be provided as they become known. An accomplished engineer and leader, Jones was President of Consolidated Engineering, Inc. of Lynnville, Ind. Jones, who is married with four children and lives in Indiana, is approximately 65 years old, according to friends and associates who were truly shaken by Jones’ passing. Tributes to Jones were immediate as friends and assoicates registered their shock and sadness upon learning of his death. “Our industry and society lost today one of the great men we have been so fortunate to know. He was a gentleman and always willing to help others learn,” said Scott Kisting, Senior Vice President of MUTI. Earnest “Ernie” Jones, at right, was a frequent industry speaker and provided a great amount of research that was used in formulating standards. In the above photo he is being interviewed by Todd Schlekeway, executive director for the National Association of Tower Erectors. “He was a dedicated, tireless worker for the tower industry, probably unmatched by anyone else of whom I know. He was a soft-spoken man with a gentle approach to others and rigorous approach to his work,” said professional engineer Simon Weisman who knew him when he started working with Jones on TIA 222-D in the mid 1980s. To honor Jones’ contribution and life, according to John Erichsen, chairman of the TIA TR14 committee, there will be a dedication to him in TIA-322 when it is published in 2016. “As great as his engineering capabilities were, his greatest contributions were his willingness to engage with any party regarding all manners of topics, especially safety, and consistently maintain a high level of integrity, courtesy and respect,” Erichsen said. Jones had been a member of the TIA TR14 Committee for decades. He was a driving force in the development of the TIA‐1019 Gin Pole Standard leading the research and technical developments it represented. He continued this work broadening the 1019 Standard to create TIA‐1019‐A which included safety, standardized construction nomenclature, established standard rigging plans and so much more. 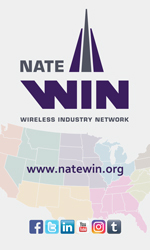 Yet again, he worked with NATE representatives and the TIA TR14 committee to improve 1019 to create ASSE 10.48 and the soon to be published TIA‐322 which will eventually replace TIA‐1019‐A. His contributions to the TR14 committee research included details which created the strength theory incorporated into TIA‐222‐G. Just this month, the TIA TR14 Committee voted to approve his role as Task Group Leader charged with the final review of TIA‐322 while planning for the next revision. He was always willing to discuss safety, engineering and any aspect of the tower industry. He is also widely known in the industry having designed and has overseen fabrication for over 3,000 towers. These have included monopole structures, self-supporting lattice towers and guy towers; these structures ranged from 240′ to 2,000′ in height. He has also designed special erection systems and support structures for the wind turbine industry. Jones also designed the country’s tallest self-supporting tower for McHenry County, Ill. His 1,500-foot broadcast structure, however, was never built. He was an active member of the National Association of Tower Erectors and along with Don Doty, Pat More and Gordon Lyman was proactive in forming a gin pole summit in 2012 which would provide used to outline some of the training parameters in the A10.48 Standard. “NATE’s thoughts and prayers are with the family and friends of Ernie Jones during this difficult time. I think most everyone is still in a state of shock and disbelief that this accident occurred. Ernie was one of the most prominent structural engineers in the United States and his contributions to NATE and the entire industry made an indelible impact on safety. Mr. Jones was always willing to roll up his sleeves to help the Association and lend his expertise to anyone who needed assistance. 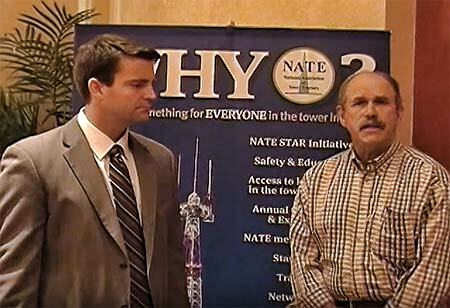 At the appropriate time down the road, NATE will recognize Ernie’s tremendous contributions to the Association and to safety. For now, however, we join his family, friends and colleagues in mourning the loss of a great man,” said NATE Executive Director Todd Schlekeway. As a guest speaker, Jones has authored and/or presented numerous tower and antenna presentations since 2000. Jones had been Vice President of Engineering of Electronics Research, Inc. of Chandler Ind. For their structural division. Although he had always been a strong and active safety advocate, following the death of two of ERI’s employees in 2011 when they were jumping a gin pole, his fervor for championing safety initiatives was well known by his many friends and associates. 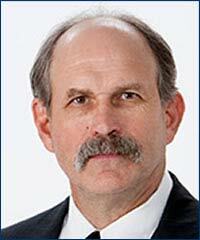 He also served as a senior engineering consultant for Humatec. Jones received his BSME from Rose-Hulman Institute of Technology in 1973. Jones was also active and well-known in broadcast organizations, especially the National Association of Broadcasters. Brent Hensley, president and general manager of the Hearst Television ABC affiliate, said the inspection was routine. “Obviously, we are saddened by his death and our thought and prayers go out to Ernie’s family, friends and the people who knew him well, including our Hearst family,” said Hensley.